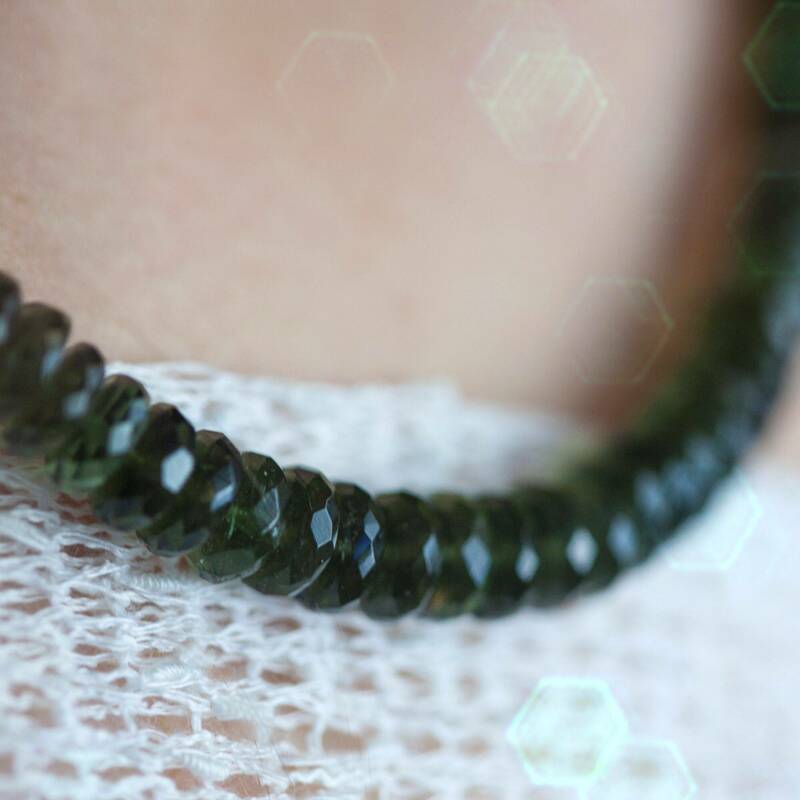 There’s only one way to describe the mystery and magic of these moldavite necklaces: out of this world! Moldavite is a sacred and seriously potent stone. It brings about rapid and powerful spiritual transformation and has the tendency to attract what relates to your spiritual evolution and Highest Good. These gorgeous moldavite necklaces are made of AAA grade moldavite crystals and are adornments of the most sacred, rare, and transformative kind. If you are experiencing or are ready to experience major shifts in your life, these moldavite necklaces are your offering. Moldavite is one of the extra-magical Synergy 12 stones, which help you work towards opening your heart and mind to all beings. Moldavite is not a beginner’s stone. 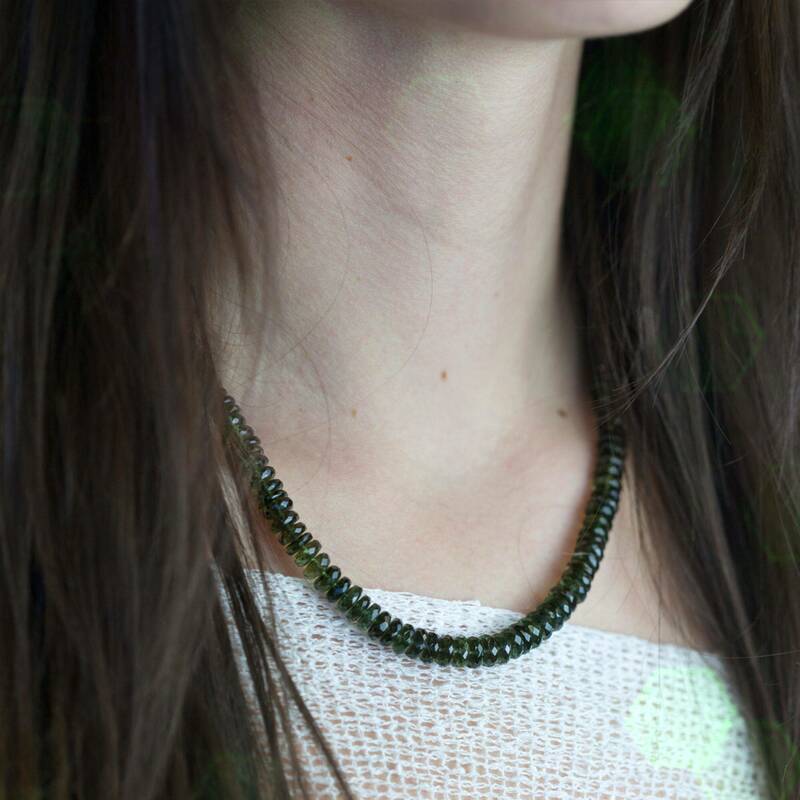 These moldavite necklace carry serious, next-level magic. These pieces can bring about major priority shifts and even physical life changes: including career, relationships, lifestyle, and more. Moldavite has an uncanny ability to suddenly open the Heart Chakra, bringing healing to it and any other area of the body. 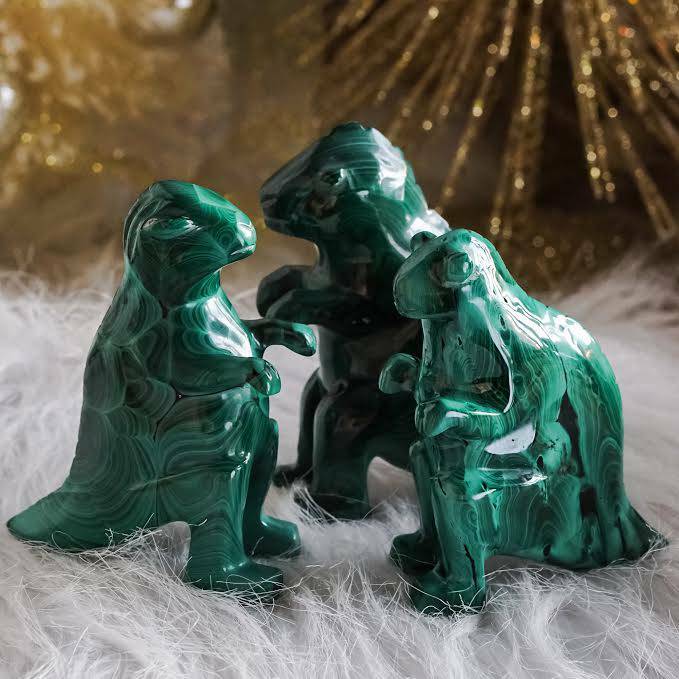 If you feel drawn to bring this mystical green stone into your collection and practice, be prepared for its strong vibration. 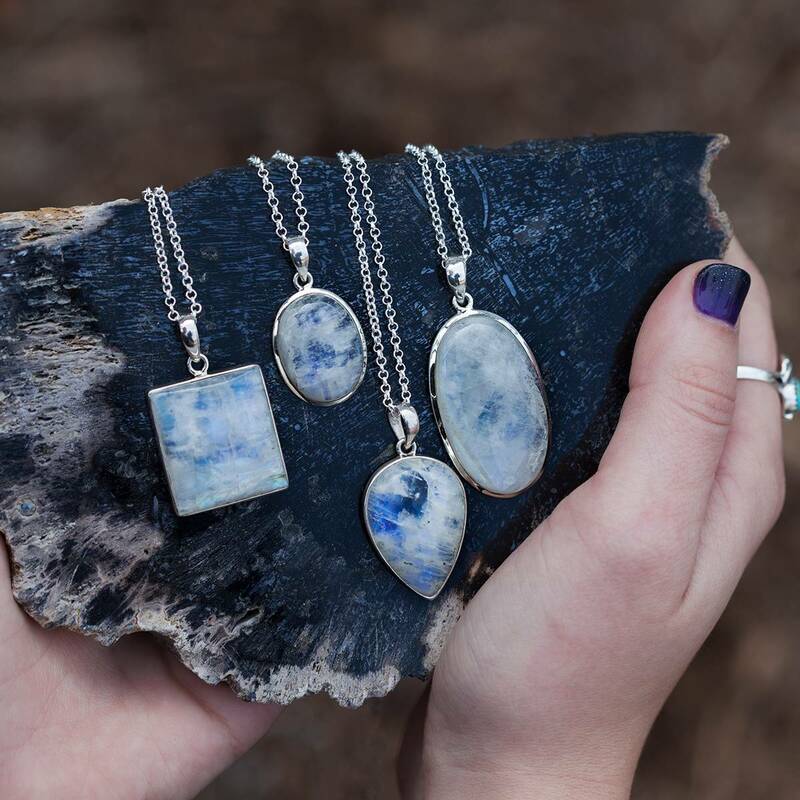 I believe in sacred adornment – in the process of choosing your jewelry with care and intention – because when we wear jewelry, we invoke the elements and energies of the pieces with which we adorn ourselves. May these moldavite necklaces bring great joy to your life and spiritual practice as you step more and more into the brilliance you are. This listing is for one (1) moldavite necklace (about 19”). Yours will arrive lovingly parceled along with a single leaf of white sage and a card describing the properties of the stone.